Marabel Lara, MA is a certified medical assistant and has worked at Weight Loss & Vitality since 2015. She has a true passion for helping others and takes pride in extending her heartfelt love for health and wellness into the clinical setting. Her primary focus is to offer personalized, quality assistance to all patients of Weight Loss & Vitality. Ensuring that they have an exceptional experience. She works alongside physician assistants & registered nurses as a trusted and valued extension of our medical team. She has a very strong background in medical office procedures to include non-surgical aesthetic treatments. She is often the first and last friendly face you will see when you visit our office. 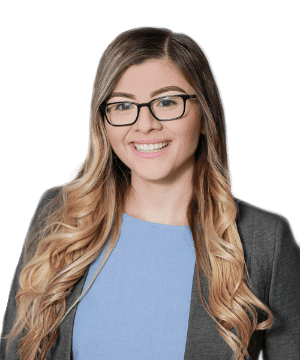 Maribel brings a genuine enthusiasm to all aspects of her work and her patients feel very comfortable around her and truly enjoy her calming disposition and unsurpassable customer service. Maribel is on track to complete her graduate degree to become a physician assistant. She plans on continuing to practice healthcare in the NOVA/DC area upon graduating with her Masters Degree in Physician Assistant Studies (MPAS). Maribel was born and raised in Fairfax, VA. She has strong family values and a solid work ethic that was developed as a result of working side-by-side with her father at their family owned & operated business. Her solid experience in customer service and business operations results in an ability to work hard, deal successfully within a busy & dynamic work environment – all the while remaining positive and solutions focused. She is bi-lingual and speaks fluent Spanish.